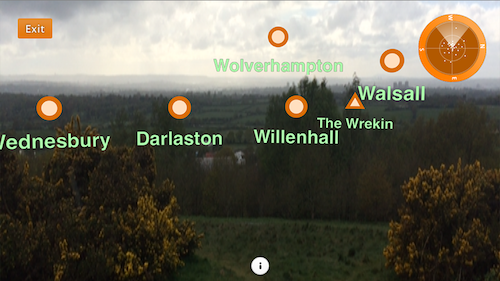 Launched in 2015, our mobile tour guide app for Barr Beacon in Walsall, UK includes a fun family quiz to be played along the nature trail and eye-catching Augmented Reality. Discover Barr Beacon, a nature reserve only 3 miles from Walsall town centre. It’s one of the highest points in the West Midlands, with spectacular panoramic views across Birmingham, the Black Country and beyond. The newly restored War Memorial is a focal point, but Barr Beacon is also the site of one of the few remaining areas of lowland heath in the region. It’s ideal for walking and exploring nature. Use this app to follow the fun walking trail and play a quiz as you go along. It’ll help you to discover more about Barr Beacon’s heritage and wildlife. GPS enabled trails and quizzes with questions for the whole family. Keep a score as you go along. Augmented reality feature helping you make the most of the panoramic view. Find out about the Heritage Lottery Fund project, including the traditional and modern techniques used to restore the site’s historic features. Heathland with heather, bees, butterflies, buzzards, ravens and rabbits. Fun and fitness, dog walking, picnics, geology, amazing views! This app is designed as a trail companion, but equally can be enjoyed from the comfort of your own home.